Here your adventure starts. Both selfcatering lodges Leeus Villa en boutique lodge Cozy Lion are a lovely place to relax, or as the best start point for your adventure. 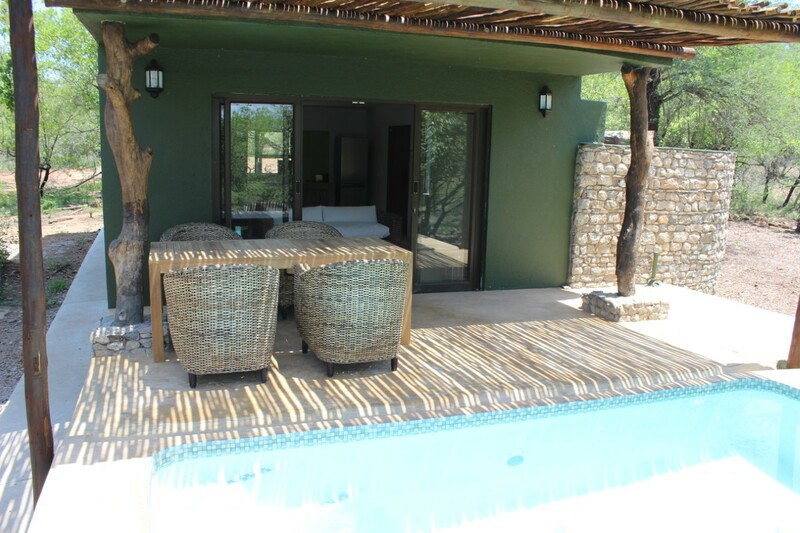 Both detached lodges are decorated in mondern safaristyle and a oase of tranquility and privacy. We tried very hard to, wherever you are in the lodges, you’ ll always be in contact with the bush around you. So don’ t be surprised, when making your breakfast espresso, you ll be seeing a giraffe in front of you. The lodges are on Marloth Park. This is a private wildlife park, where all the African wild roams around. For safety reasons, there are no elephants, rhinos, lions, cheetahs and leopards. The lodges and their surroundings breath luxury, tranquility and peace. But… adventure is just around the corner: just having a neighbour like Kruger National Park, there is a big chance to spot the big five yourself. Besides Kruger there are other things to do and see, like the beatiful Panoramic route. In one hour distance there is the small kingdom of Swasiland. There are lots of wildparks, each with its particular surroundings, where you can spot wildlife. In between you ‘ll find amazing nature, lovely African villages and African craft markets.